Blue Cross of Arizona is one of the best Arizona ACA plans one can get here in Arizona. 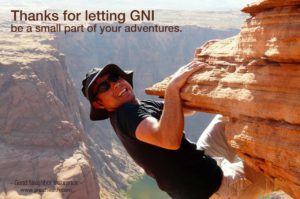 Even though Good Neighbor Insurance primarily focus is providing international medical insurance to expats and travelers overseas, we also provide Arizona health insurance. Why? Because we live in Arizona! We love helping our Arizona neighbors find the best medical insurance plan for them and their families. Since the start of Good Neighbor Insurance in 1997 there have been many changes to the U.S. health insurance industry. The biggest shift happened with the ACA (affordable care act) laws were created. Many of these changes are good. Many changes causes all of us here in Arizona to think differently on how to purchase our medical insurance. Medical networks. This is more important than ever before. We highly suggest not skipping on the full network. If you go with the “slimmer down” medical network you may have a lot of out-of-pocket to deal with when you have any medical attention needed. Why? Because if the medical facility you see is not in the network (unless you are in an emergency situation) then you will be footing most of that bill. And yes, those bills can get pretty steep! Another way of thinking of Medical Networks is like when we purchase a membership to Costco or any other store which allows us to get discounted priced items. When you and I are purchasing a medical insurance plan we are also purchasing into the insurance company’s medical network. What is my out-of-pocket (OPPx) maximum for the policy year. This will change, go up, each year. But for 2015 this number is $6600. Thus, the worse-case out-of-pocket ever (the bottom of the list) for one person per calendar year will be that amount. Last year, 2015, it was $6300. This does not mean all insurance plans go to this limit. You can purchase as stronger medical plan that only has, for example $4,500 out-of-pocket maximum. One good change on this part is that our out-of-pocket maximum is all the legitimate medical expenses that we spend for that year. Thus, copays, deductibles, and co-insurance all are included in that OPPx. Lastly, and yes, a very important part – is the monthly premium. Thus, if you want the BMW high medical insurance plan you will pay the top-of-the-line premium. One last thing on premium – do realize that now our medical insurance premium is based on age. So every year we get older the premium will automatically increase. There are a handful of great medical insurance plans here in Arizona. However, we stick with the best and that is Blue Cross Blue Shield of Arizona (BCBS of Arizona). Why? Many reasons, but for sure that stands out is the great customer service BCBS of Arizona. Not only is Blue Cross great on individual and family insurance plans but also on group insurance. In fact, if you have 2 – 9 employees in your company you can choose 2 different plans for your Blue Cross group policy. You are not limited to one. This allows for great flexibility for your associates! You may view our Blue Cross plans here at https://www.gninsurance.com/individual-and-family-health-coverage/. Or call one of our agents at 480-633-9500.